Following times of great conflict and tragedy, many countries implement programs and policies of transitional justice, none more extensive than in post-genocide Rwanda. 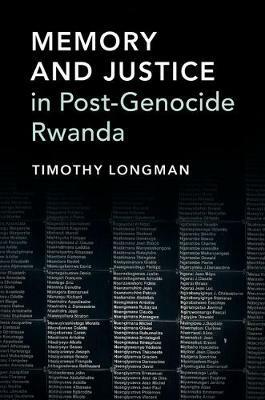 Placing Rwanda's transitional justice initiatives in their historical and political context, this book examines the project undertaken by the post-genocide government to shape the collective memory of the Rwandan population, both through political and judicial reforms but also in public commemorations and memorials. Drawing on over two decades of field research in Rwanda, Longman uses surveys and comparative local case studies to explore Rwanda's response both at a governmental and local level. He argues that despite good intentions and important innovations, Rwanda's authoritarian political context has hindered the ability of transnational justice to bring the radical social and political transformations that its advocates hoped. Moreover, it continues to heighten the political and economic inequalities that underline ethnic divisions and are an important ongoing barrier to reconciliation.